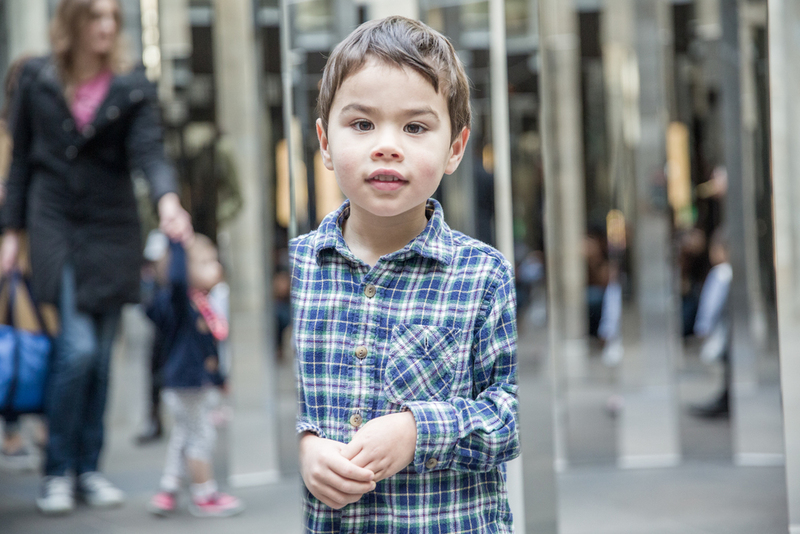 If you are heading to the NGV International with the kids to experience the latest Fake Food Park exhibition, checkout the spectacular 2.5 metre mirrored reflective steel form labyrinth installation in Federation Court. 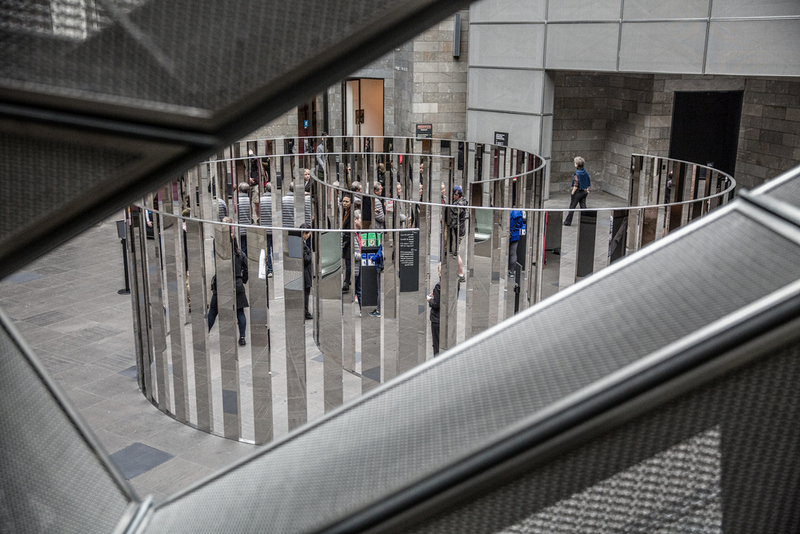 The installation, Semicircular Space by the renowned Berlin-based, Danish contemporary artist Jeppe Hein, invites visitors to wander through and experience reflections of themselves and the artwork whilst revealing glimpses of the spaces beyond. Visitors will become immersed in a nautilus-like labyrinthine form. The installation’s mirrored surfaces promote a dynamic relationship between the viewer and the surrounding architecture, resulting in a disorienting maze-like space where the physical space and the mirrored space are experienced in an alternating rhythm. Semicircular Space has been commissioned as part of the NGV’s ongoing series of Federation Court commissions. The installation builds on recent works by Hein which employ mirrors in playful spatial environments, creating a dynamic relationship between reflection and reality. Whilst encouraging a social experience, Hein’s work complements its surrounds, echoing and refracting the architecture of NGV International designed by Roy Grounds. Jeppe Hein: Semicircular Space will be on display at NGV International from 4th June 2016 - 5th March 2017. Entry is free. For more information, view the NGV's info sheet here.